It’s taken me awhile to gain an appreciation for non-fiction. Despite the fact that I have consumed countless documentaries, history books, and radio programs that awe and excite me and spotlight what an incredibly fascinating, unusual world we live in, if given a choice, I’ll almost always gravitate towards fiction first. Maybe it’s just that the slogan “Truth is Stranger Than Fiction” annoys the living hell out of me, or maybe it’s because, as I’ve mentioned before, Truth is largely subjective. Regardless, author John Buntin’s L.A. Noir is another potent and convincing piece of evidence that non-fiction can excite, entertain and surprise in a manner that is arguably even more effective than most fiction. Buntin’s subject matter is ripe for analysis: the story of early to mid 20th century Los Angeles as it transforms into a shadowy city of corruption, greed, and villainy in the wake of the Industrial Revolution and becomes embroiled in a battle between organized crime and a progressively more structured, capable and disturbingly authoritarian police department. Intercutting between the life stories of Police Chief William Parker and gangster extraordinaire Mickey Cohen, Noir ably and dramatically depicts the extent to which organized crime was tied inextricably with city government and the police force, at first mutually benefitting one another as the three worked in tandem and later in a vicious power struggle that ruined lives, left scars, and upended the very structure of the society. The conspiratorial banding together of a few reform-minded individuals to fight back against The Combination, which was the name given to the corrupt union of city government, the police force, and organized crime, is as riveting and page-turning as any fiction crime novel; the grisly murders, seedy affairs, and back-stabbing politicking you expect from every good pulp noir story is here, but told as it actually happened in a clean, consistent writing style that mostly strays from the excesses of hyperbole or exaggeration. But where the text really shines is in its contrasting depiction of Parker and Cohen. While these two never physically met on a field of battle, there is a deeper, metaphorical combat that takes place between the two over the course of decades, and it is in the contrast of their upbringings, their personalities, and the actions they take at the height of their respective powers that reveals the all-too-common hypocrisy of law and order and the dubious glamour of the gangster lifestyle. Of the two, Cohen comes out of the text looking the better. Despite all the terrible things he did, the criminally and ethically reprehensible actions that he took, there is a charm to his characterization. He has a sense of humor, a roguish charlatan’s natural charisma. It’s impossible to read about him, hear his own words, and not empathize with him at least a little as the underdog that pulls himself up from nothing and becomes successful amidst great adversity. There’s some kind of sick, black comedy that could be made parodying the heartwarming story trope about a down-on-his-luck guy pulling himself up by his bootstraps… and then strangling his adversaries with the shoelaces. 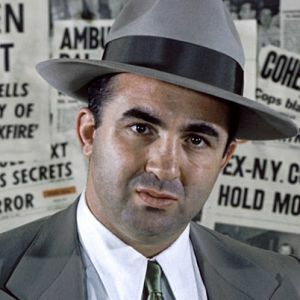 And Mickey Cohen probably would have been game for the lead role. By contrast, Parker, who would largely be responsible for fixing an entirely corrupt and heinously mismanaged police organization with his drive, mettle and hard-headedness is, despite his noble pursuits, a deeply flawed figure. Conniving, inflexible, arrogant, and sanctimonious, he represents on the one hand the worst of the people in power; but on the other, he was largely competent, successful, and instrumental in bringing justice to a lawless city. It’s the nuance and the contradictions to his character that make him so fascinating; it’s genuinely painful to see someone who strives for the heroic ideal to be plagued by hypocrisies and shortcomings of which they are unaware or unwilling to recognize. In particular and of especially relevant note in the wake of the recent goings-on in Ferguson, MO, Parker’s myopic response to the Watts Riots and the civil rights movement of the 60s is undoubtedly the ugliest scar on his record. At this point in his career, he was untouchable, at the height of his power, and short of murder, there were precious few options to strip him of his rule. He was not only truly ignorant to the plight of the persecuted citizens ostensibly under his protection but paranoid in his assertion that any criticism of his decisions or the work of his department was an attempt to subvert justice and breed chaos in his city. As neighborhoods burned and people died, Parker shifted blame away from himself and focused more on the political necessities of retaining power than on taking steps to make amends for past sins and correcting against future conflicts. 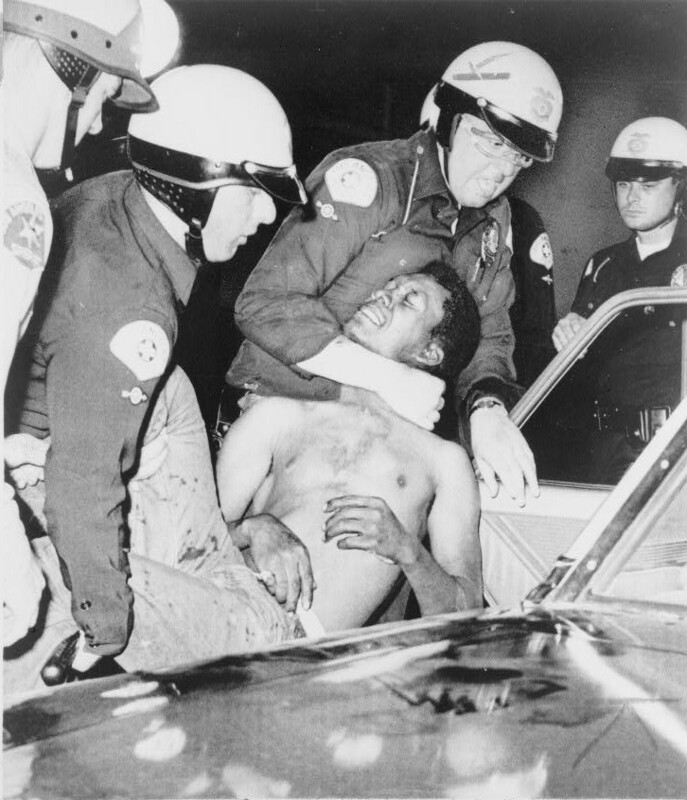 Although separated by decades, the Watts Riots, the Rodney King Riots, and the Ferguson Riots are inextricably linked by the history of police procedures and actions taken in African American neighborhoods; it’s lamentable to think that Parker had the opportunity, the voice, and the power to have been an agent for reform and progressive action at a crucial time, that his actions could have potentially even staved off future hostilities. 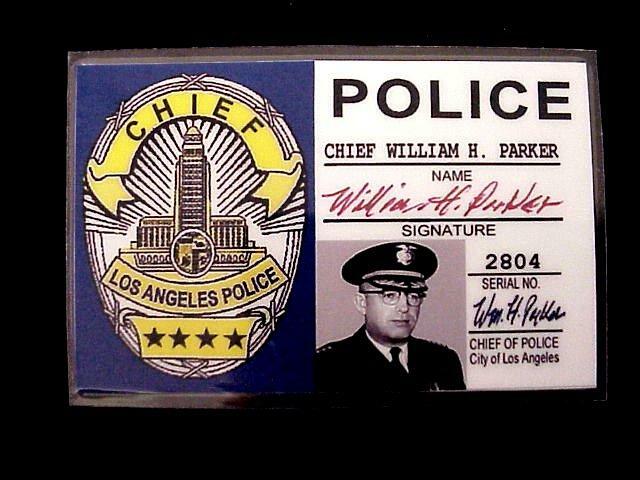 Parker had an enormous influence on not only his own department in Los Angeles, but in law enforcement across the country. To consider the “What-If” in the face of the reality– that instead he only incited greater fear, hatred, and misunderstanding between officers and citizens–is to realize that in the midst of reading entertaining tales of sordid crime goings-on in a bygone era of Los Angeles you’re also being exposed to something that is relevant and integral to understanding what’s happening in the news right this minute. While it’s tempting to think of history as something that already happened and doesn’t matter anymore, as old news that’s irrelevant to our current time and temperament, it’s far more accurate to see it as a dirty, creased roadmap tracing how we got here, an imperfect but enlightening explanation of how life fits together, and a rambling but exciting exploration of ideas and topics that we can only see clearly and objectively with the time and distance to separate us from them. But perhaps the greatest compliment I can pay L.A. 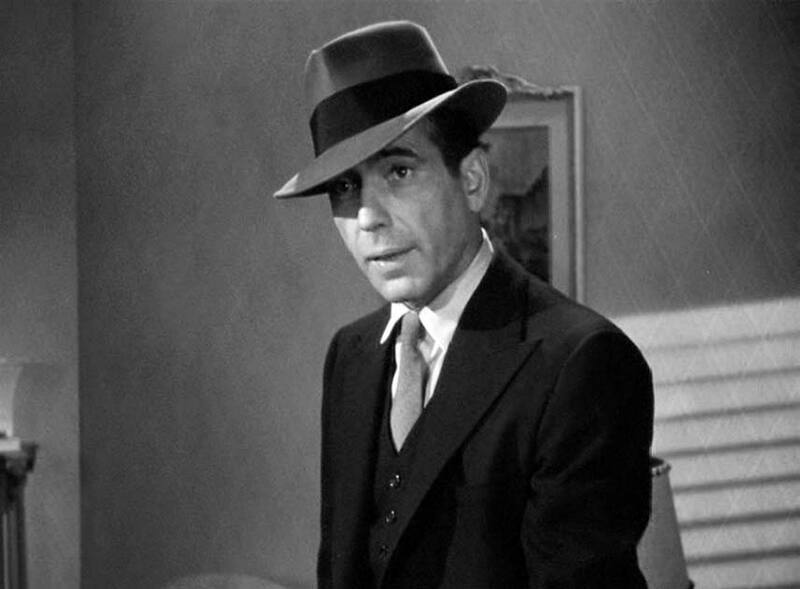 Noir is that as a voracious consumer of pulp noir and hardboiled gangster crime stories, from novels like The Maltese Falcon and Red Harvest to films like The Untouchables, Sin City and L.A. 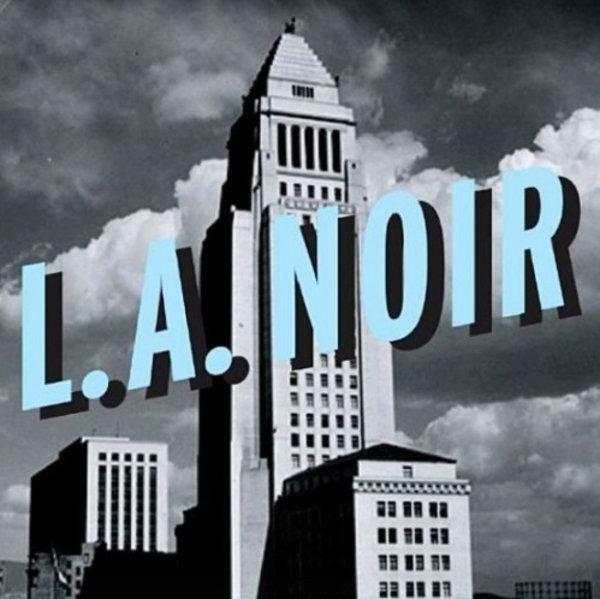 Confidential, television programs like the more modern noir of True Detective, Breaking Bad, or Fargo, and even video games like Rockstar’s similarly titled L.A. Noire, Buntin’s text comes across as both a unique, separate addition to the canon and also a revelatory peek into the origins of these themes and concepts that still hold our fascination. You can see where these fictional accounts have taken their influence, but you also see in the history of L.A. Noir a story that hasn’t really been told yet. I’m particularly fascinated by the wild contrast between Parker and Cohen and the extent to which the audience’s sympathy is often at odds with their own ethical standing. There have been plenty of stories with likable, sympathetic leads who just happen to be awful criminals, but what about the story with the unlikable lead in a mostly virtuous role? I’m always a sucker for the good guy, for the noble cause, for the guy or gal who has principles and nobility that he or she won’t back down from. But when I look at Chief Parker, suddenly rooting for the good guy becomes a real challenge. And that’s another fascinating aspect of this text. Even in a genre notorious for its flawed anti-hero protagonists, the extent in L.A. Noir to which good and evil are almost inscrutably difficult to discern beneath the haze of morally ambiguous actions undertaken by those in the ‘good’ camp and the sometimes heroic, self-sacrificing actions of those in the ‘evil’ camp is a potent reminder that as much as we strive to force an Aristotelian structure of dichotomy upon the chaos of the real world, there is far more gray out there than either black or white. For fans of good storytelling, it’s worth noting that in a non-fiction work as entertaining and dramatic as L.A. Noir there is also one other great advantage over fiction: when you are unfamiliar with the particular topic, it is, rather ironically, almost impossible to predict what’s going to happen next. As fiction addicts or storytellers ourselves, we begin to sense the strings in the illusion of a constructed tale, but non-fiction casts real doubts as to any guarantee of emotional payoff, of a conclusion or a tidy resolution, so that if or when you receive those things, it’s even more rewarding than in fiction, where you’ve come to expect that closure. Buntin’s L.A. Noir is one of the better history books I’ve ever read and combined with a recent diet of non-fiction works Finn J.D. John’s Wicked Portland and Ken Burns’ documentary, Prohibition, my interest and appreciation for this era in American history and the potential of non-fiction storytelling in general has never been stronger. If you’re as fascinated as I am by the idea of the crime-ridden city, of shadowy conspiracies and large, intricate criminal organizations, of themes of right and wrong/good and evil in the context of a morally compromised setting where there are no easy solutions, and of the fatalistically fantastic image of a major metropolitan center as smoggy and bleak, gaudy and rough, monumentally modern and pre-historically barbaric, you’ll find L.A. Noir fits as snug as a vintage fedora. This entry was posted in BLOG, STORY and tagged Buntin, city government, Ferguson, good and evil, history, history books, John Buntin, L.A. Noir, Los Angeles, Mickey Cohen, mob, non-fiction, organized crime, pulp noir, reviews, riots, Rodney King Riots, storytelling, The Combination, Truth is Stranger Than Fiction, Watts Riot, William Parker. Bookmark the permalink.